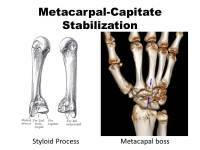 Carpometacarpal boss or simply metacarpal boss is a common finding of a dorsal radial prominence of the middle and/or index carpometacarpal joint. 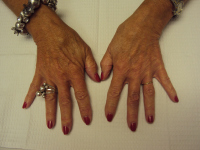 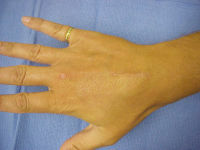 It is benign, usually painless and usually does not require treatment. The term "Boss" is derived from the French "bosse" meaning bump, swelling or tumor. 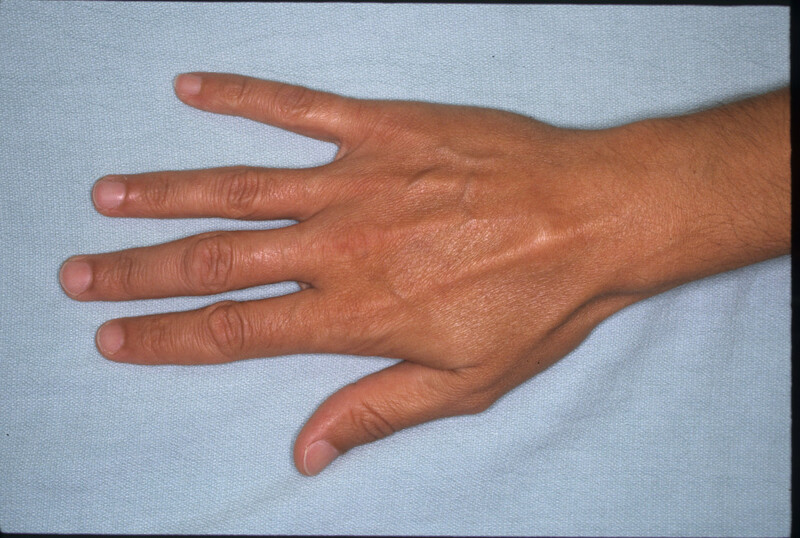 Typical appearance, here more prominent over the index metacarpal base. 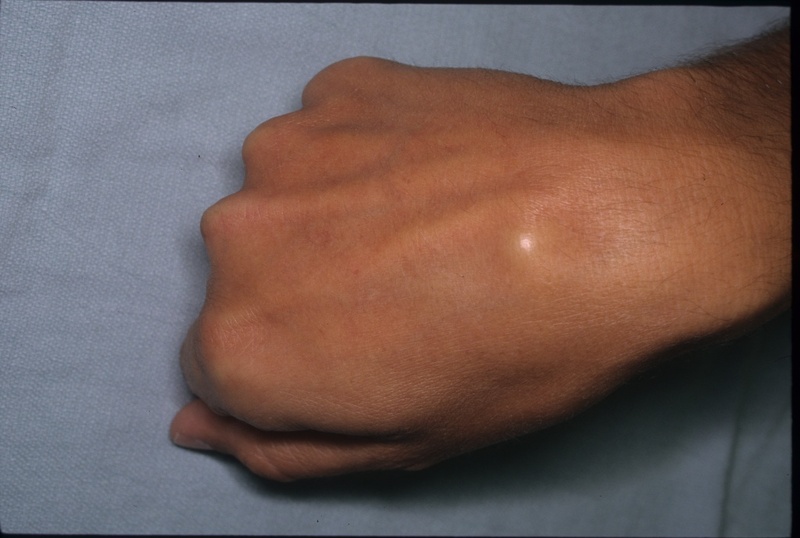 Appearance accentuated with clenched fist and wrist flexion. 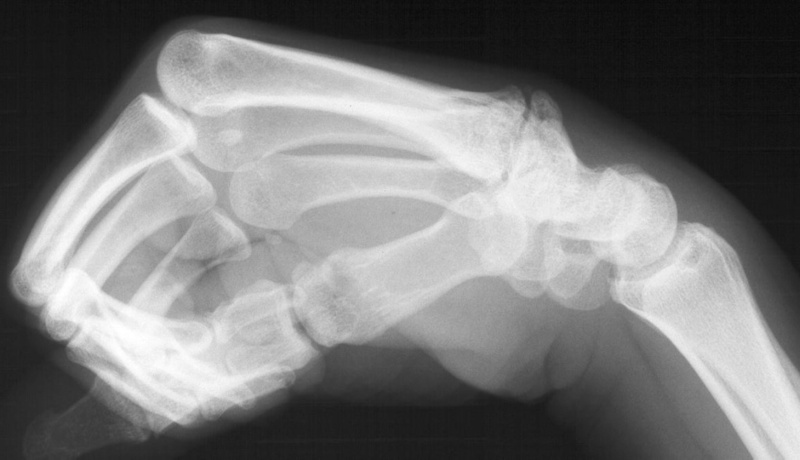 Lateral clenched fist xray tangential view profiles the prominence, here with an exostosis of the metacarpal base. 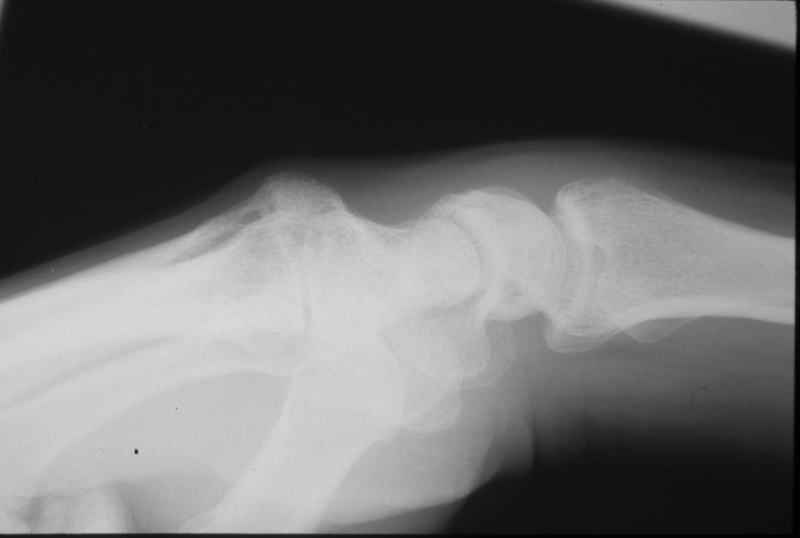 Another patient with "kissing osteophytes"
Another patient with exostosis from the capitate. Although usually painless, they may give rise to symptoms from arthritic type joint pain or from tendon snapping. 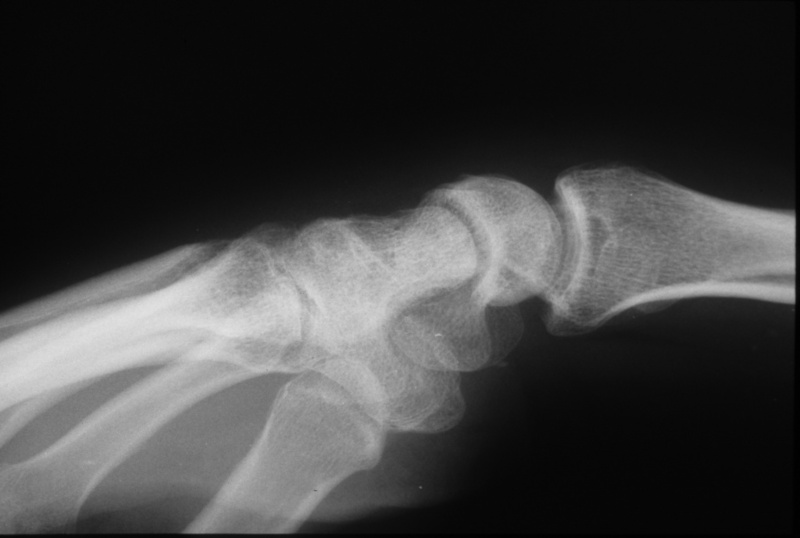 This patient had persistent pain and tendon irritation from index extensor tendons snapping over the prominence. 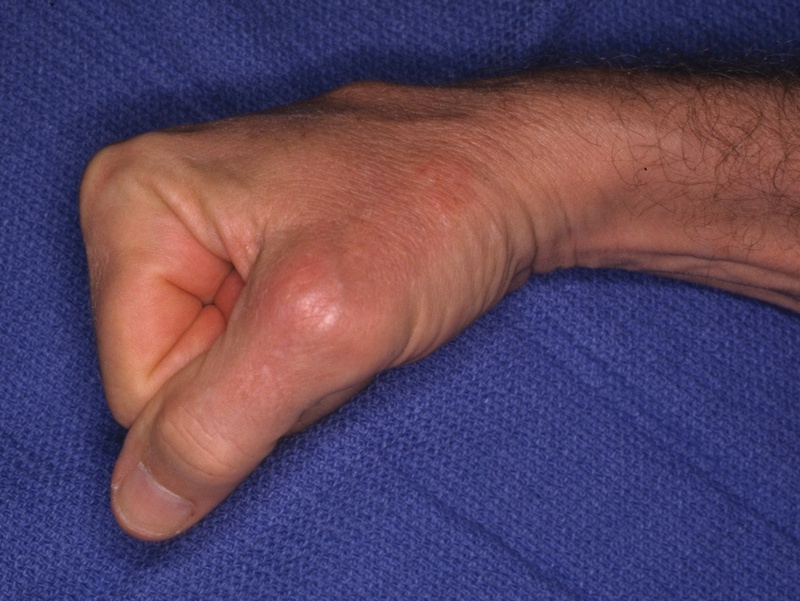 but snap to the ulnar side when gripping. 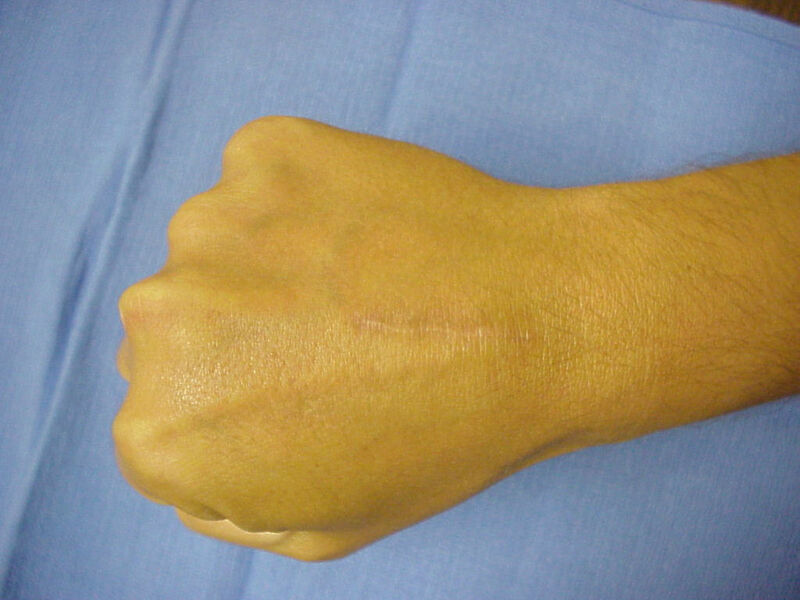 This was treated by shaving down the prominence. Here are the same maneuvers a year after surgery. Postoperative xray shows smooth contour. Different patient, intraoperative view of dorsal bone recontouring of the metacarpal and capitate. 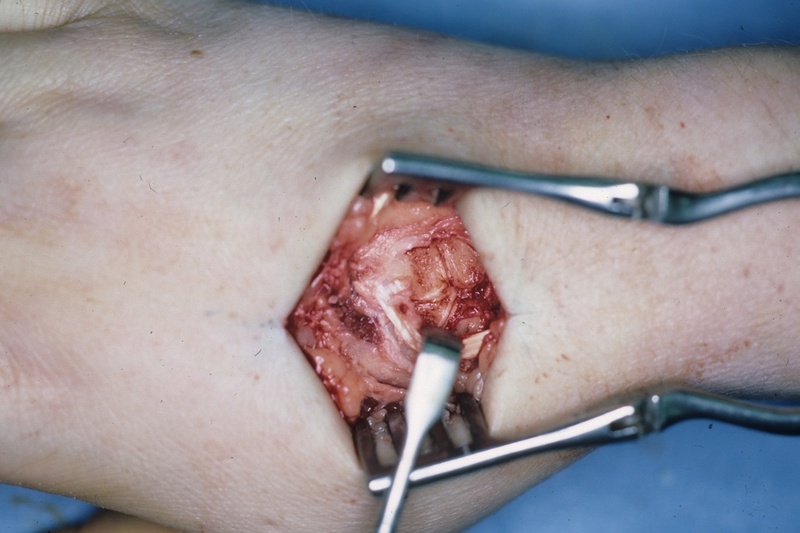 Periosteum was closed over the exposed medullary bone. 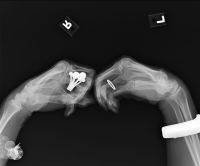 Xray of the above patient's symptomatic hand. 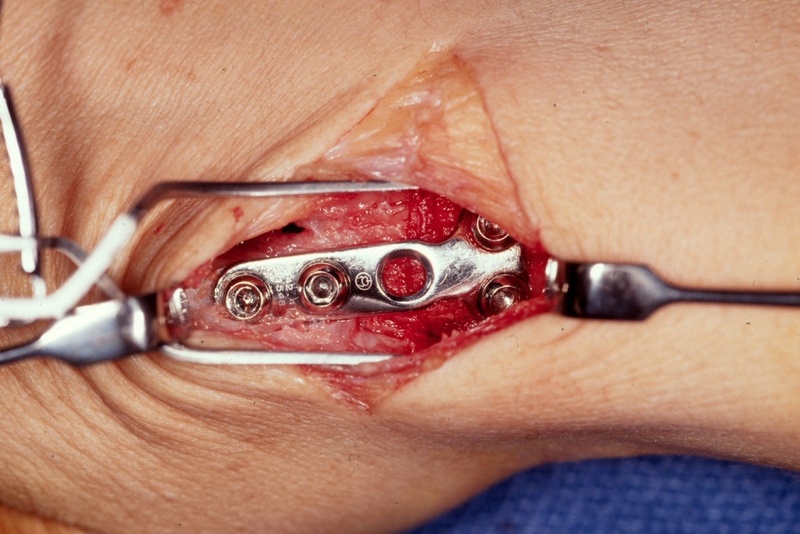 Carpometacarpal arthrodesis is an option for failure of other treatment. 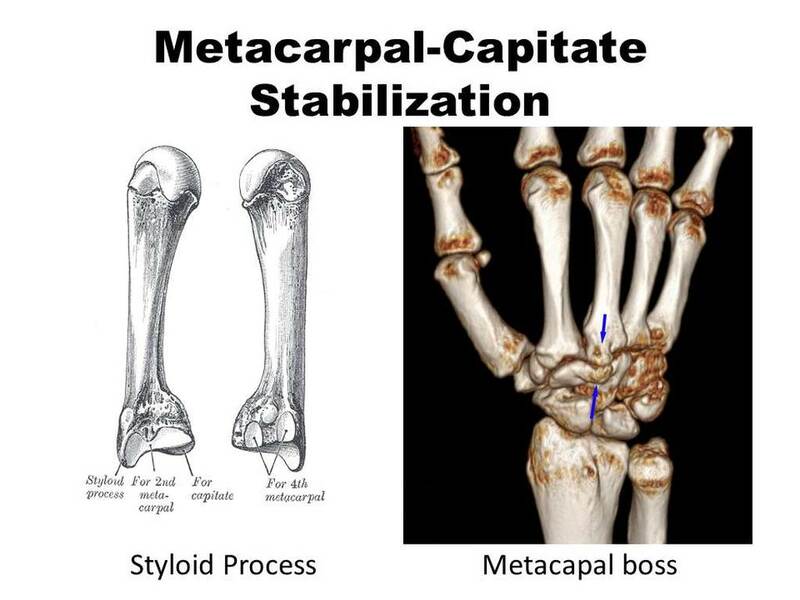 For most people, metacarpal boss is simply an exaggeration of a normal contour. 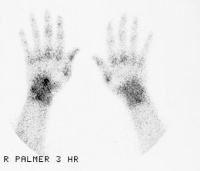 This patient has no symptoms. 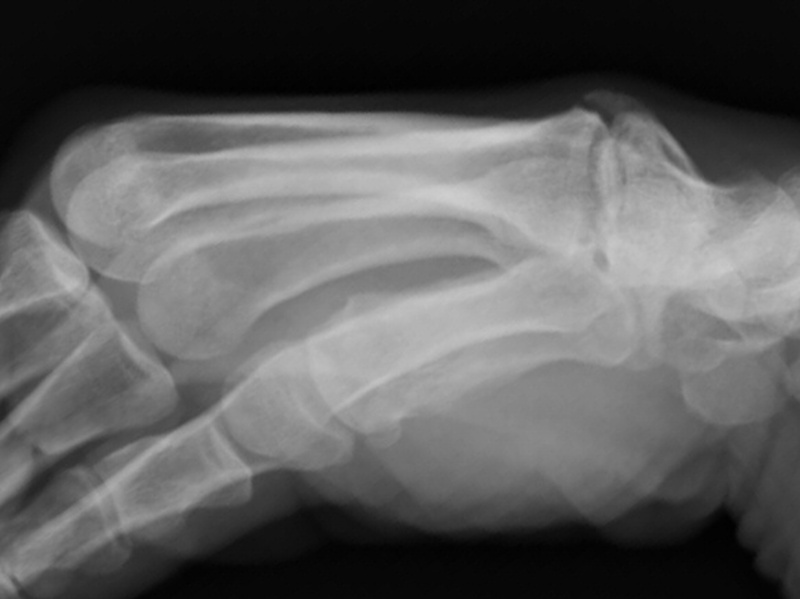 Interestingly, despite an apparent larger prominence on the right hand, Xrays shown below show a larger bony prominence on the left. 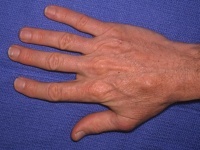 Why do we develop these? 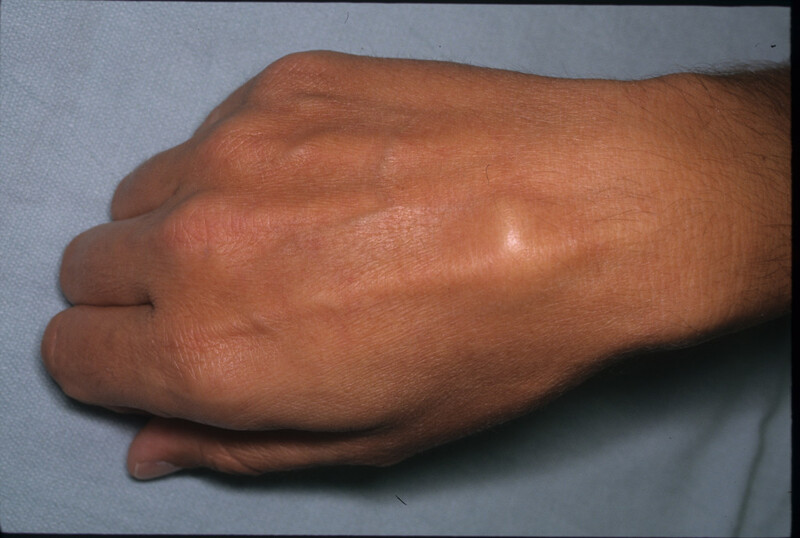 They may arise from irritation of the wrist extensor tendons which insert into the index and middle metacarpal bases. 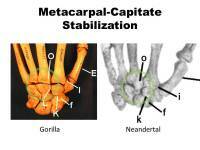 They may also have to do with the presence of the middle metacarpal styloid process, which is a unique feature of the human hand and the human genus homo. Below, "O" points to the same area comparing the gorilla hand (no styloid) to the Neandertal hand (styloid present). 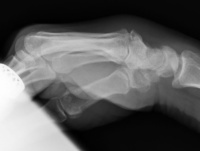 The styloid process is located right where a boss is most likely to arise. 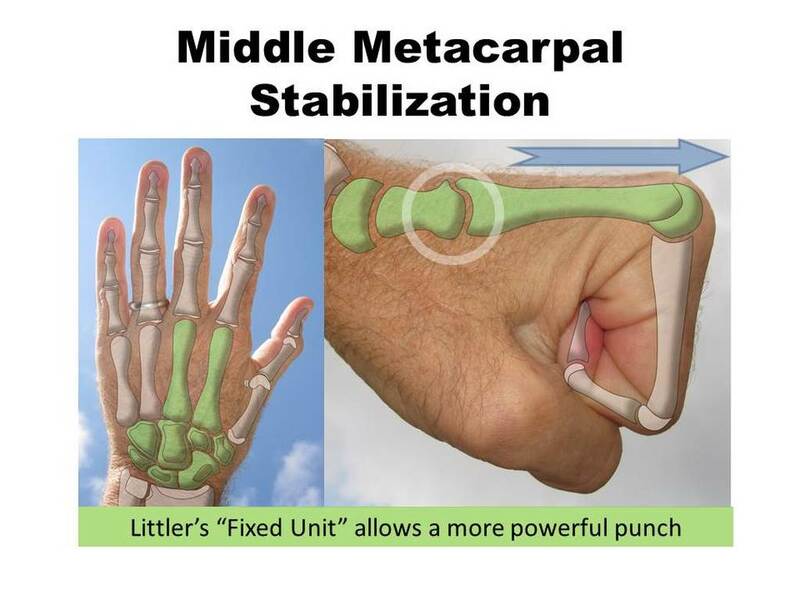 The functional importance of the styloid is that it helps stabilize the middle metacarpal to the carpus, creating the "fixed unit" of the hand as described by Littler. 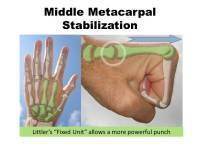 This increases strength of grip and impact of a punch.